This article will show you how you can read all the email present in your outlook and get the total count using c#.net. Some of my previous articles are as follows: Code to Convert or Writing DataSet Contents Into An XML Data File Using C#.Net In Asp.Net, How To Read XML File In DataSet And Display in DataGridview Using C#.Net, WebBrowser Control in C#, Windows Application, Change Control Font Size At Runtime / Dynamically Using C#.Net and VB.Net In Windows Application, Export GridView Data To Excel Sheet Using C#.Net In Windows Application, Windows Application In C#.Net (My first video article on youtube.com), How to Create a Code 128 Barcode Label Using windows Font in C# ,Windows Application, How To Get Enumerate Installed Fonts List In Your Computer Using C# Windows Application. 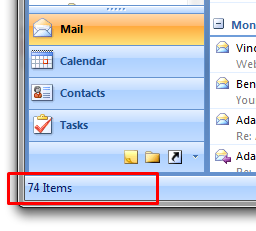 Now have a look of the outlook email count. So for this demo we will create a new windows application and add some button and label control in form. 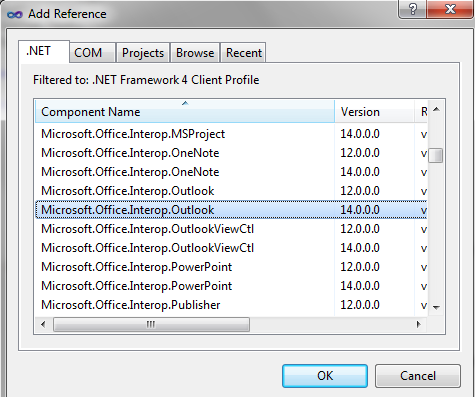 Now we will add the outlook library reference. In above code I have read all the email from outlook and display the count. Now we have done run the application to check the output. Have a look of the application in debug mode. Now press F5 to check the final output.